Are you looking for headphones for big ears, but have no idea what ones will get the job done? 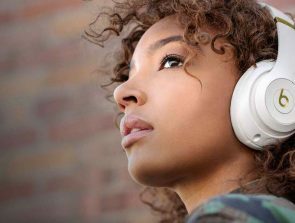 Then you’ll save time by taking a look at this buyer’s guide where you’ll find the best headphones in the marketplace that are extra-large and suitable for those with big ears. The comfort of these headphones is excellent, and you’ll also enjoy the attention to the balanced audio quality. Furthermore, we will share the various features that must be analyzed in order to end up with the headphones that you’ll be happy with. We will cover the durability, wireless connectivity, comfort, brand, and audio quality. Once all of these bases are covered you’ll have a good idea what the headphones are about and if they will be the right fit for your requirements. Take the time to read this buyers guide until the very end and you’ll learn about what the marketplace is like with regards to headphones for big ears. We are confident that you’ll end up buying the headphones that will make you happy. Comfortable design and has a wide frequency range. Extra bass, durable design, and good comfort level. Good noise canceling feature and 20 hours battery life. What are headphones for big ears? The big ear headphone category is mainly based on the over-ear format, which means the entire ear can fit inside the earcup. The on-ear format has a number of advantages such as lighter weight, portable design, and comfortable feel. It often makes sense to consider over-ear headphones if you have large ears. Individuals with big ears have problems with over-ear designs that don’t offer enough earcup space for the entire ear to fit inside. Consequently, pressure is placed on the ear, which can lead to discomfort over time. Our buyer’s guide on headphones for big ears is focused on over-ear designs that have large earcups. 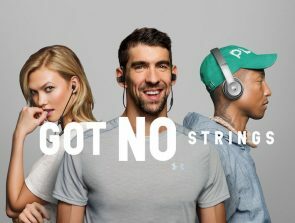 By locating the headphones with the biggest earcups out there, you’ll have a great chance of achieving a comfortable fit. Bass: the lower end of the frequency spectrum is responsible for the bass and this feature has the ability to completely transform the music listening experience. Genres like rock and rap will sound way better when good quality bass is included. Frequency response: the frequency response should be in the region of 20-20KHz, since this is the range the human ear is capable of hearing. Clarity across the entire frequency range means the music will be great regardless of what genre of music you’re playing. Noise isolation: a good level of noise isolation allows the ambient noise to be drastically reduced. This is useful if you like to enjoy music in a noisy environment such a public transportation or the office. Do some background research on the brand you’re buying from to get a better idea of the quality you can expect. The brand reputation can be a deciding factor when you can’t make up your mind between two good quality products. In this buyer’s guide you’ll notice headphones from the top brands in the world such as the Sennheiser HD 579. Furthermore, the customer care comes down to how the brand operates. Getting easy access to customer care is ideal when you have technical problems or want to use the warranty deal. The quality of the wireless connection has been drastically improved with the release of Bluetooth version 4.0, which means it’s a good choice for audio enthusiasts. Further versions have been released such as version 4.2+, but opting for 4.0 at the very least is recommended. Wireless connectivity allows you to enjoy the audio in a manner that doesn’t restrict the movement. Combine this attribute with a minimalist design that has a secure fit and you’ll have a setup suitable for the outdoors. Over-ear headphones aren’t the best choice when it comes to going out and about, but there are a few decent models such as the Bose QuietComfort 35 (Series II). You should also consider the length of the battery life as a short one might be a deal breaker. Expect upwards of 10 hours worth of battery life nowadays and it’s not unreasonable to find headphones with 20-30 hours. Another attribute to look at is the charging time, which is typically in the range of 2-3 hours. The quick charge feature can help you get out of a sticky situation where you need battery life, but have forgotten to charge the headphones. Durability should be considered when buying headphones to ensure you end up with a long lasting product. Use the zoom functionality of the images to inspect the pictures and determine the quality of the materials. Also take a look at the product description to find out what materials are actually used. Typically a brand will freely share any positive durability features that have been implemented – look out for these too. Finally, delve deeper into the warranty information to learn what types of damage are covered. A brand that has full trust in the durability of their headphones will provide a lengthy warranty deal to back it up. Headband: the headband should be fully adjustable and have some soft padding on the underside. This ensures you’ll have a secure fit that has a soft feel. Weight: you’ll notice that the over-ear designs in this buyer’s guide are relatively bulky, but some have a lightweight design such as the Audio-Technica ATH-WS1100iS. A lower weight is desirable for a less cumbersome wearing experience. Wireless: opting for a wireless design means you’ll have a higher degree of freedom. Options like the Bose QuietComfort 35 are more comfortable to wear since you don’t have to deal with the wire. You’ll be pleasantly surprised at the sound quality you can get for large headphones under $150. In this category, there is excellent value for money and comfort levels. The audio quality here is comparable to audiophile grade products that are priced significantly higher. Sennheiser is one of those brands that add XL earcups to a lot of their over-ear headphones, which is perfect for individuals with big ears. In this buyer’s guide we recommend the HD 579, but do take a look at their entire range of products and you’ll notice there are plenty of suitable options for those that require extra room within the earcups. These headphones combine great comfort and excellent audio at an affordable price point. The lightweight yet robust design of the HD579 means wearing these headphones is not a cumbersome experience – even if the overall design looks rather bulky. The headband is super comfortable due to the level of padding that has been added. You’ll feel like wearing them on a daily basis is not going to become a problem over many hours at a time. It’s an open-back design, which means you’re going to have a wide soundstage. Furthermore, with an open design the ventilation of heat and moisture is drastically improved. 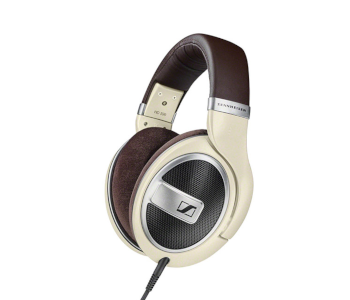 Overall, Sennheiser has done a great job of adding premium materials to the design that look visually appealing. This isn’t the most expensive Sennheiser headphone, but they have decided not to let up on the use of premium materials. The frequency range is an impressive 15 – 28,000 Hz and the total harmonic distortion is lower than 0.2%. 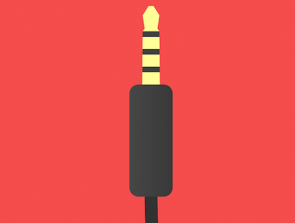 This combination of attributes means you can rely on a highly sophisticated level of audio quality. Expect deep bass and clean audio that’s a joy to listen to for various music genres. However, before going ahead with the purchase take a few of the disadvantages into account. 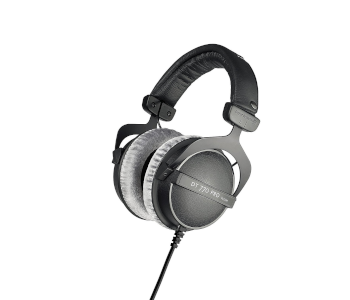 The overall design is bulky, which might be a bit cumbersome for some that are not used to Sennheiser headphones. Furthermore, there is quite a lot of sound leakage, so you’ll need to use them where nobody else is around if you want to enjoy high volume levels. To summarize, the Sennheiser HD 579 is a great choice for those who have big ears and want high comfort levels. The audio is impressive for the price point of around $100 and the use of premium materials adds a lot of value. The beyerdynamic DT 770 PRO is a dream come true for music fans that have big ears, but are looking for a comfy pair of headphones with audiophile grade sound. The execution of these headphones provides a level of durability that will stand the test of time and they come in at a reasonable price point of around $150. Take all the features into consideration here to figure out if they have what it takes to meet your requirements. The lightweight yet durable build has the perfect mix of stability and practicality. The high level of comfort means you’ll enjoy wearing these on a daily basis, which is ideal for professionals and music enthusiasts. The large earcups have enough space for big ears and the headband is covered in pleasantly soft padding. Furthermore, the execution of the audio quality is why beyerdynamic has become much loved in the marketplace and the DT 770 Pro delivers. The closed back design means noise isolation is excellent as ambient noises are drastically reduced. Also the frequency range of 5 – 35.000 Hz is competitive at this price point and delivers the kind of bass that will have you rocking your head to music. There are two color options, which are black and gray, and the cable is 3 meters long, which means they are mostly for home use. The bulky over-ear design here will not be practical to walk around with, but perhaps suitable for use on public transport during long journeys. A few of the disadvantages of the beyerdynamic DT 770 PRO should also be considered before adding them to the shopping cart. These headphones suffer from limited distribution and the length of the 3 meter non-removable cable is not suitable for mobile use. To summarize, the beyerdynamic DT 770 PRO is a competitive option that provides a lot of value in the headphones for big ears category. The combination of the studio grade audio and very comfortable fit allows for many years of practical use. 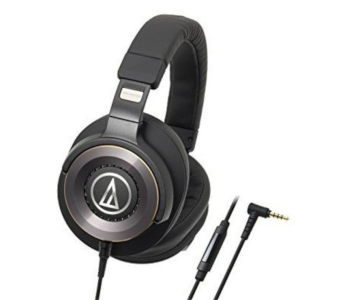 Audio Technica is another highly respected brand in the headphones marketplace for their comfort and audio quality. If you love a comfy design, very wide frequency range, strong bass, and large audio drivers, then you’ll love what the ATH-WS1100iS brings to the table. The exclusive dual-layer earpads provide a firm internal layer and soft outer layer. This increases the noise isolation, which in turn improves the clarity of your audio in noisy environments. The earcups are some of the largest in the marketplace that is suitable for buyers with above average ears. The large 53mm audio drivers have ultra-powerful magnetic circuits that deliver very accurate audio across the wide frequency range of 5 – 40,000 Hz. Additionally, the impactful bass here will impress even the audiophiles among you. Genres like rap and rock will fully expose the quality of the bass and it’s one of the best in the business. Bass production is aided by the “Bass Venting System”, which make use of side vents to optimize air dampening. These are wired headphones that come with a 1.2m detachable cable. Also a pouch is included that allows you to store the headphones while not in use. It’s handy when you want to transport the headphones without damaging them. To make a smart buying decision you need to consider some of the drawbacks. The mid-range can be slightly improved to provide more balance and the bulky design is somewhat awkward when trying to wear these in public. To conclude, the quality of the Audio-Technica ATH-WS1100iS means this purchase is a no brainer for those who want extra bass and a high level of comfort. You’ll enjoy the wide frequency range and the durability of the materials used. 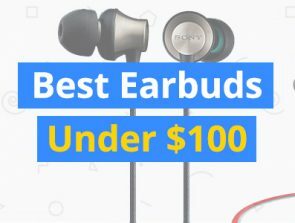 The under $350 category has a few models with very large earcups that provide plenty of space for the wearer. Furthermore, the quality of the audio here is of an industry leading standard. The combination of the wide frequency range and crisp notes means you’ll enjoy all your tracks. Take a close look at the various features to see if the headphones here justify the premium price point. The Bose QuietComfort 35 is an industry leading product and a Bose flagship model that has earcups large enough for big ears. It comes in at a high price point of around $350, but in return you’re getting wireless over-ear headphones that are highly competitive. We recommended them as the top value pick in the “Closed Back Headphones of 2018” guide, and feel that they are one of the best options for music enthusiasts with big ears. They come in two color options, which are black and silver. The visual design is rather simple, which means they can be combined with a number of outfits when going out. The earcups have a soft padding that feels nice on the skin and there is some breathability. Furthermore, the headband doesn’t have as much padding as some of the other options on this list like the Sennheiser HD 579. The execution of the audio quality here is impressive as the implementation of the bass adds a lot of impact. The clarity of the overall audio quality is clean, but more detail might be needed to compete with other audiophile grade headphones. After all, at this price point we have to be highly critical of the audio that’s available. The implementation of the wireless connectivity is one of the big strengths here. You get up to 20 hours of battery life via the rechargeable lithium-ion battery. 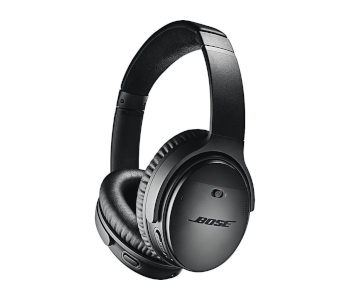 An active noise cancelation feature is available to give you a big boost in clarity when in a noisy environment. Therefore, they are practical for traveling on a plane, bus, and train. The ANC feature may even help you get to sleep on public transport during long journeys. Another setback of the Bose QuietComfort 35 II is the lack of a distinguishable look from previous models. If you’re upgrading from past Bose headphones, then perhaps you may want a fresh new look, and you won’t get that here. To summarize, the Bose QuietComfort 35 II is a premium personal audio solution that combines a superb level of sound and great comfort. Furthermore, the 20 hours battery life, excellent microphone, and noise canceling feature means you’re getting a lot for your money. However, you’ll need to decide if it’s enough to justify the $350 price point. AKG is known for their audiophile grade headphones and the K702 is a solid choice with extra large earpads. The large size means individuals with large ears have plenty of room for a comfortable experience. Additionally, the use of materials here gives the product a durable and classy look – certainly worth the premium price point. 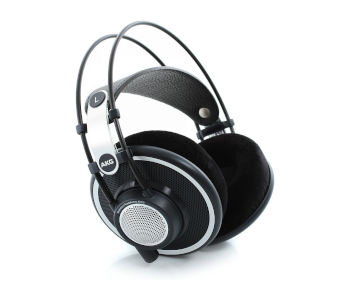 The comfort of the design has been improved based on the feedback of previous headphones from AKG. The headband has a thin design with the minimal amount of padding. It’s surprisingly comfortable and helps reduce the weight of the headphones. Furthermore, the earcups have a nice soft padding that’s breathable – this allows for ventilation of heat and moisture. They are much larger than the majority of the headphone marketplace. AKG acoustics are recognized as among the best in the industry and since 1947 the company has been granted over 1,500 patents – that’s an impressive level of innovation. You can enjoy crisp notes across the 10-39,800 Hz frequency range. These headphones have an open back design that drastically increases the size of the soundstage. This gives way to music that sounds realistic and you’ll feel as if you’re there next to the artist. However, the disadvantage of such a design is the lack of noise isolation. A 3m detachable cable is provided that may be too long for traveling with, but these bulky headphones aren’t designed for mobile use anyway. They are suitable for music enthusiasts and sound engineers that want a competitive pair of headphones. Before buying the AKG K702 consider some of the disadvantages for a balanced overview. The open air design means that sound leakage will be a big problem if you’re enjoying the music around others. Also the bulky design can be cumbersome to wear if you’re used to smaller headphones. Overall, the AKG K702 is a premium choice in the headphones for big ears category, but they offer a lot of value for the price. The mix of the comfortable fit, very wide frequency range, and excellent clarity means you’ll love these from the first track.